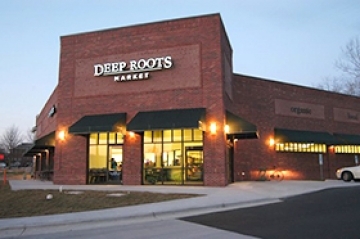 Deep Roots Market, established in 1976, is Greensboro North Carolina's only Natural Foods cooperative. rnrnDeep Roots Market carries thousands of high-quality natural products in our Grocery, Supplements, Health & Beauty Aids and Produce Departments - all of which are carefully chosen by our managers and staff to assist you in living a healthier, more environmentally-friendly lifestyle. rnrnWe focus on providing products that are locally and organically grown or made. Our fresh produce is all grown on farms practicing organic techniques. We give priority to companies and vendors that practice environmental sustainability, invest in their communities, treat animals ethically, and use fair labor practices. rnrnAs a co-op, we are owned by our equity-holding member-owners, but we welcome all shoppers!